The biggest surprise about this book is that one chapter is dedicated wholly to the handwork that is created at Waldorf schools. My kids are at a Waldorf school and I know personally, being part of the adult handwork group at the school, that a lot of love, time, patience, and effort goes into teaching the children the handwork arts- knitting, crocheting, cross-stitching, sewing, and more. The works are displayed proudly by the students and the handwork teacher at the end of the year and beauty and craftsmanship abounds. Of course, there is a lot of book besides this one chapter (I just LOVE talking about Waldorf schools) and the stories are touching and lovely. 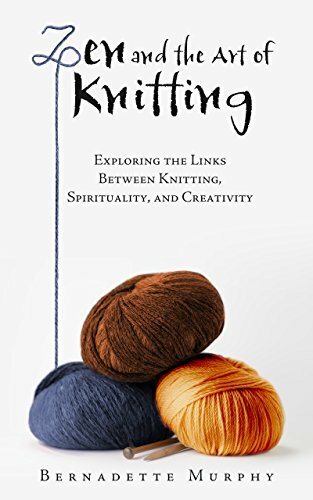 You can really get a sense of how much the writer loves to knit and how meditative and calming a presence it is in her life.